2.6" x 3.0" stitched on 14 count. 2.0" x 2.3" stitched on 18 count. 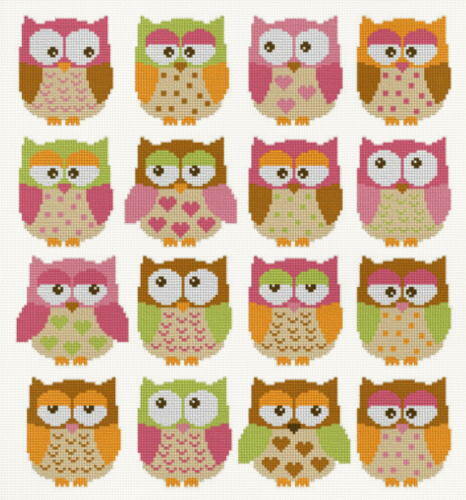 Owls cross stitch pattern... This counted cross stitch pattern of owls was created from clipart copyright of Linda Murray. http://www.etsy.com/shop/ClipArtCorner. Only full cross stitches are used in these patterns.